Looking down the aisle of your average mattress retailer, one thing was certain: the in-store experience had gone stale. Ready to disrupt it, Beautyrest partnered with us on the launch of its new sub-brand, BLACK: an ultra-premium line of mattresses, offering unparalleled luxury and comfort. In a culture of constant go and acceptance of the 5-hour night’s sleep, we took a contrary approach: using our human desires methodology to target consumers' inherent wants for tranquility and status. 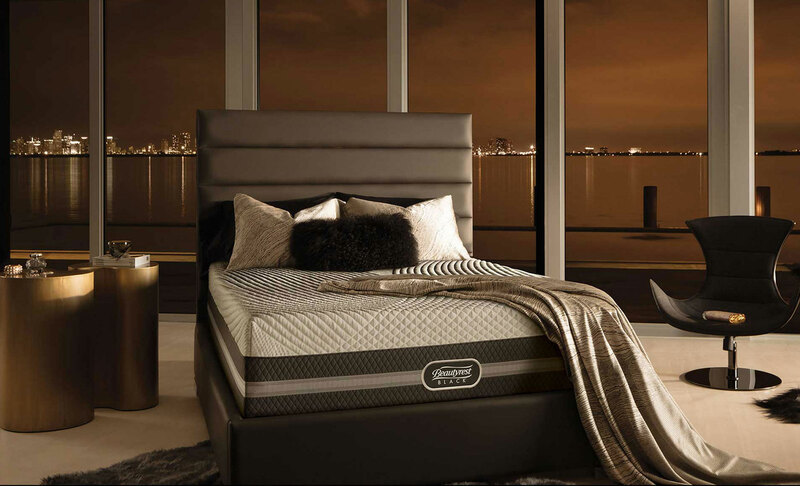 Together, these desires informed a new positioning for Beautyrest: sleep is the ultimate luxury. From the sleek and moody brand identity to immersive, sensorial environmental design, we translated our verbal and visual strategy to every aspect of the brand experience—one that drew in new audiences and expanded market share by over 30%.